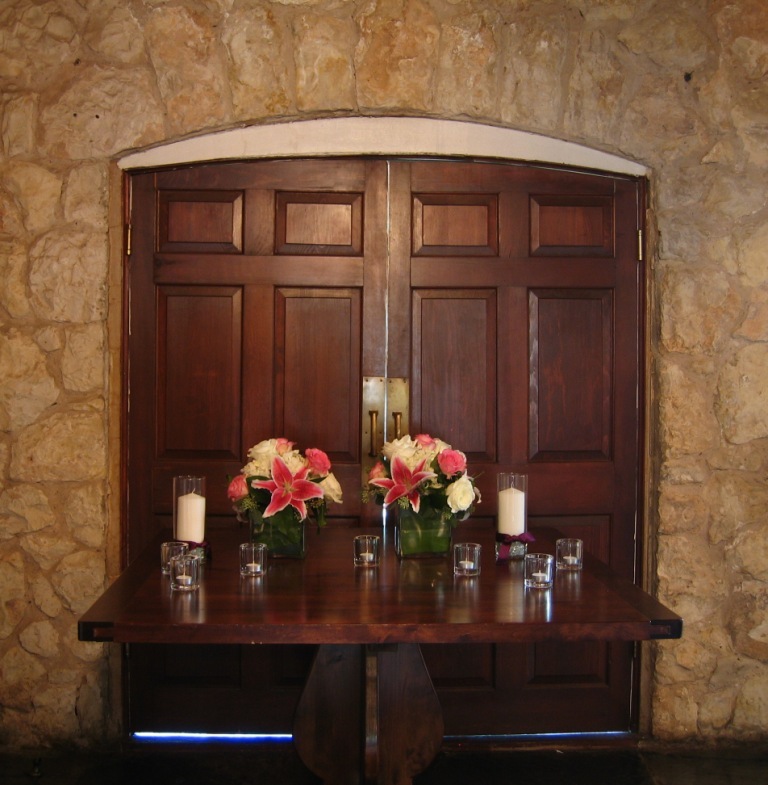 Beautiful, intimate wedding at Westwood Country Club took my breath away. 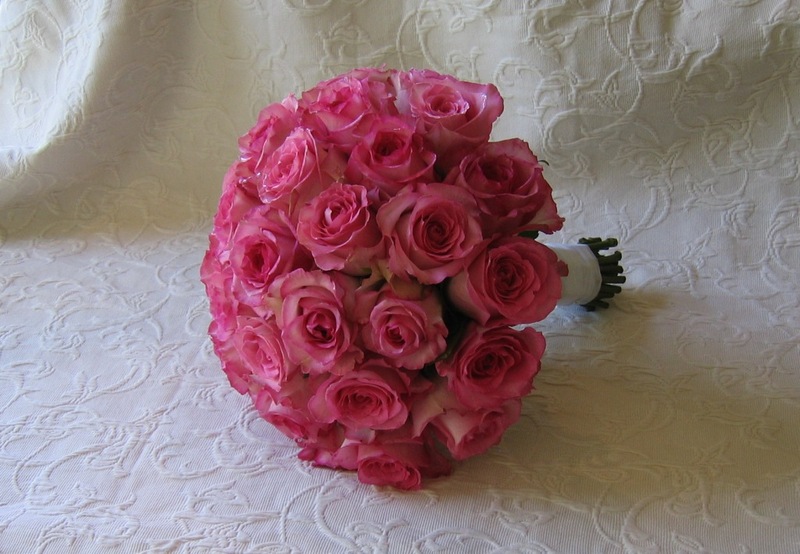 “Just what I wanted!” Love, love, love these ruffly, pink roses! So feminine! 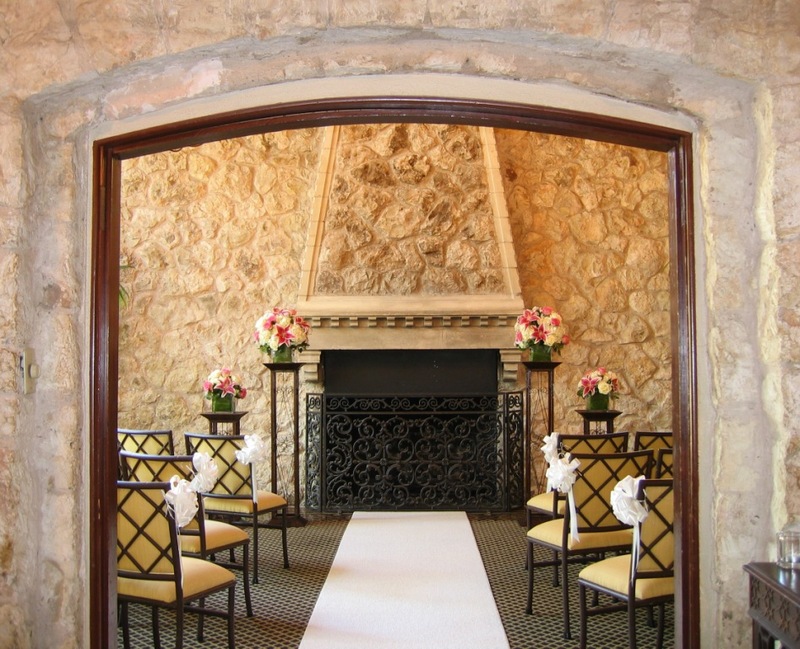 The Rock Room at Westwood Country Club is perfect for an intimate ceremony~wrought iron pedestals complement the venue perfectly! 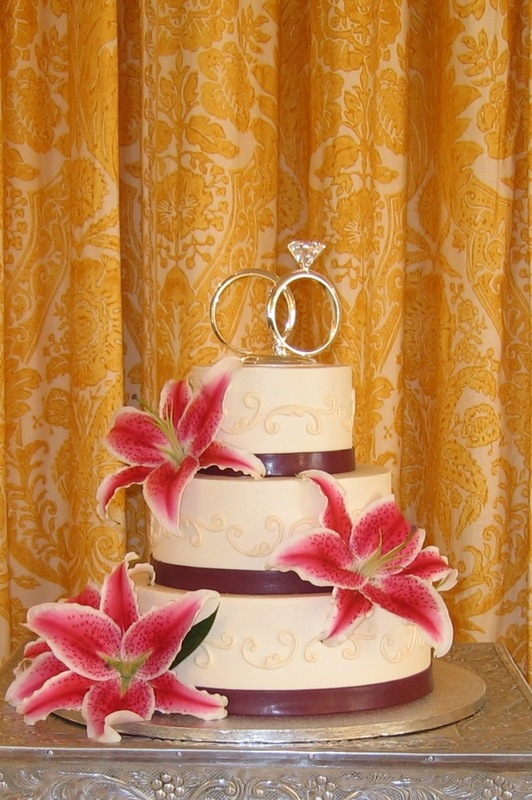 Bride LOVES stargazer lilies so we used them everywhere possible! 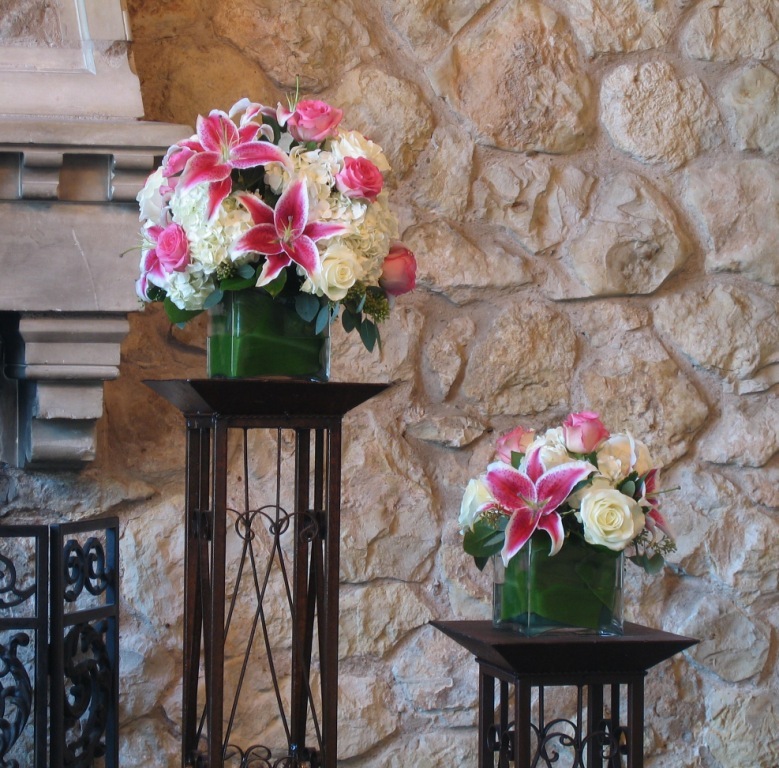 Pretty flowers lend splash of color to ceremony. Ooops! Bride forgot sign in book! Luckily we had a bit of time to run to Paper Place to pick one up. The ladies at Paper Place were most accommodating! 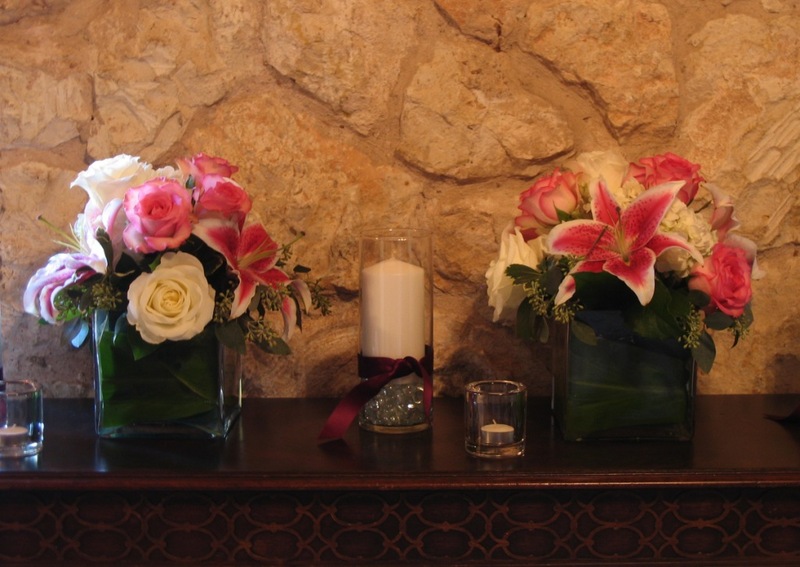 All ceremony flowers were transferred by the lovely staff at Westwood to the ballroom for the reception. Katie Lazar and her staff at Westwood were wonderful and handled everything. They were super to work with~highly recommended! Most importantly, the bride loved her flowers! Gorgeous wedding cake by Dream Bakery.